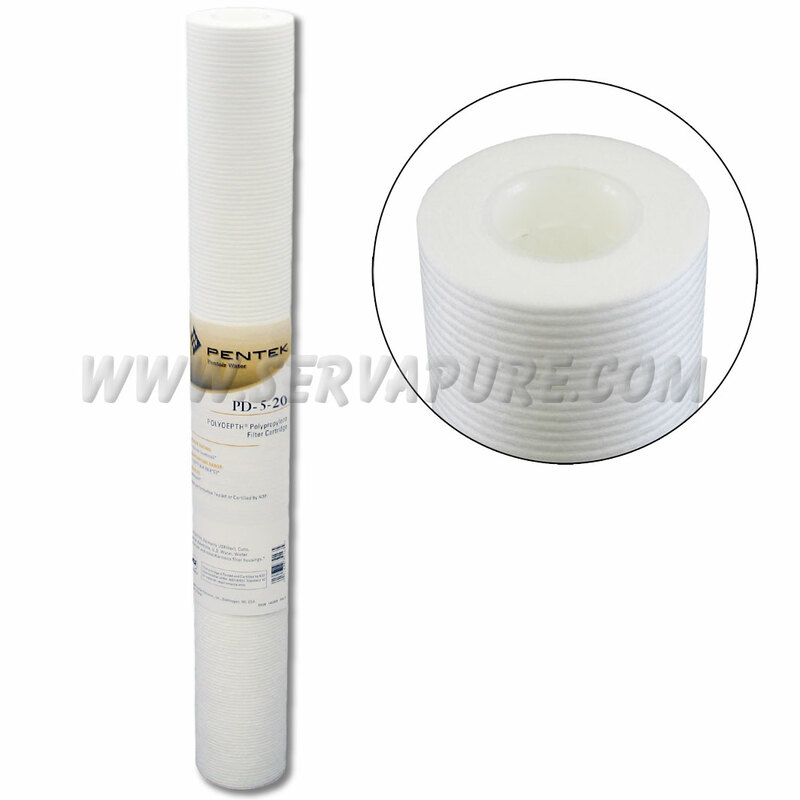 The Pentek PD-5-40 is a standard 40" sediment filter rated at 5 microns. The Polydepth Series from Pentek is constructed of thermally bonded polypropylene microfibers to ensure high filtration efficiency. The way these filters are constructed lead to minimal fiber release, a consistent flow rate and superior filtration performance.